Save yourself some pain with these quick workout adjustments. 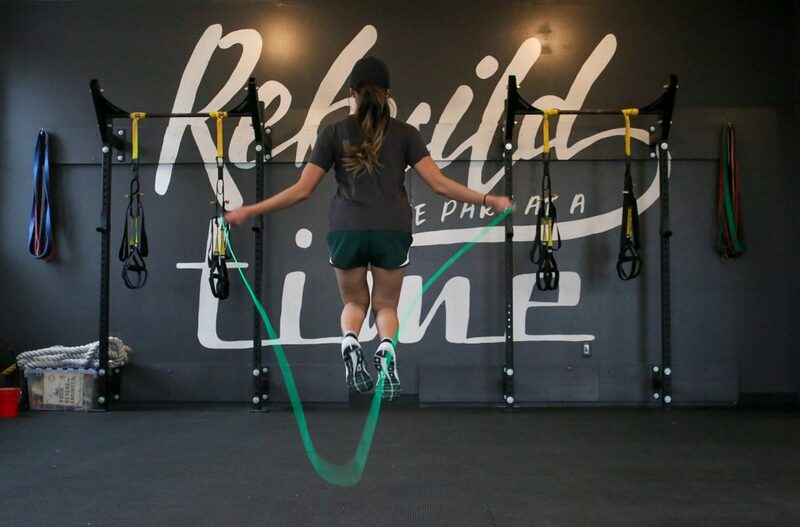 With workouts like Boxing, High Intensity Interval Training (HIIT), and Barre, currently on trend, Dr. Nekessa Remy addresses some injuries that can result from these types of exercises and how you can prevent them. Barre classes continue to be one of the most popular workout trends around. Barre studios are packed with people looking for a mixture of strength training, balance and posture exercises used by professional ballet dancers. Like ballerinas, barre class participants spend most classes barefoot or with minimal footwear. Because we spend the majority of our days in shoes, the small intrinsic muscles of our feet are underused and often weak, and our feet become dependent on shoes for support and stability. Hence, why foot injuries such as plantar fasciitis, which involves pain in the arch or heel of the foot and metatarsalgia which often includes pain under the balls of the feet, are common amongst participants. To prevent these injuries from happening to you, here are a couple exercises to try at home. Towel Crunch – place your foot along the bottom edge of a towel. Use your toes to crunch up the towel. When you reach the end of the towel, extend the towel flat on the floor again. Repeat 10 times on both feet. This will help to build the strength and endurance of the small muscles of the feet. Roller Ball – use a firm ball like a tennis or lacrosse ball and roll it under the arch of your foot. This will help to alleviate muscle tension and pain. High Intensity Interval Training seems to be taking the fitness world by storm. F45 and Orange Theory Fitness gyms are just some the gyms that boast about the effectiveness of quick, intense bursts of exercise, followed by short, sometimes active, recovery periods. The one main benefit of this type of training is that the high level of exertion causes participants to burn more calories in a short space of time while increasing metabolism following class. The focus of these workouts are moving quickly through various exercises to keep the heart rate up and often times there is little or no focus on technique and form. Often participants are not conditioned to perform such quick movements without recovery time. Most participants are sitting in the office for 8-10 hours a day not using many of the muscles that are exerting 100% intensity during these classes. Therefore, overuse injuries like muscles strains and tendon issues are very common. Common examples include Achilles tendonitis, particular from the jumping activities that a part of HIIT programming and lower back strains from exercises like burpees and mountain climbers that require a lot of stability from the muscles of the lower back and core. To avoid these common injuries I recommend limiting HIIT workouts to 3 times a week and ensure at least 24 hours in between classes. Cross training with activities like yoga or Pilates to work out core stability and flexibility will help to create more balance in the muscles and joints to reduce chances of injuries. Proper stretching calf muscles before and after class will help prevent any overuse injuries of the Achilles. Whether it’s to let out frustration or just get a great workout, many have been lacing up their gloves at various boxing gyms across their city. Boxing workouts can be fun and allow for some good cardiovascular gains, but without proper technique they can lead to some serious injuries including rotator cuff injuries and wrist sprains. Keep your elbow close to your body. Whether is a hook, jab or upper cross, as the elbow drifts away from the body, you are increasing the strain on your shoulder, specifically the rotator cuff muscles whose job is to stabilize your shoulder. Also, warm up the shoulders by rotating your arms in a large circle in both the forwards and backwards direction 10 times each. Wrap your wrists – The wrist is the most often injured part of the novice boxer’s body. This is usually due to bad form, instead of the wrist staying straight through the punch, they are curled which increases the pressure through the joint. Wrapping your wrists and hand with a decent set of hand wraps are essential. There are different ways to wrap hands and none of them are particularly wrong, as long as you make sure every part of your wrist and knuckles are secured several times over. Dr. Nekessa Remy is an award-winning chiropractor, a registered and medical acupuncturist and one of Canada’s fastest rising and sought-after health and wellness expert in the industry today. She is the current owner of Mississauga’s The Chiropractic Office, a comprehensive injury management clinic focused on sports-related injuries and woman’s health issues and also runs a practice in downtown Toronto, at Integra Health Centre where she works amongst other leaders in the health care field.